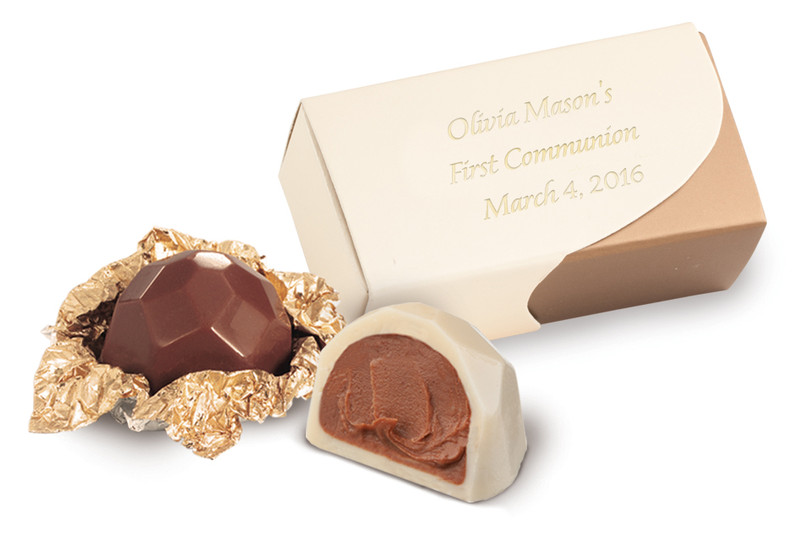 Truffles make the ideal chocolate Communion party favor! 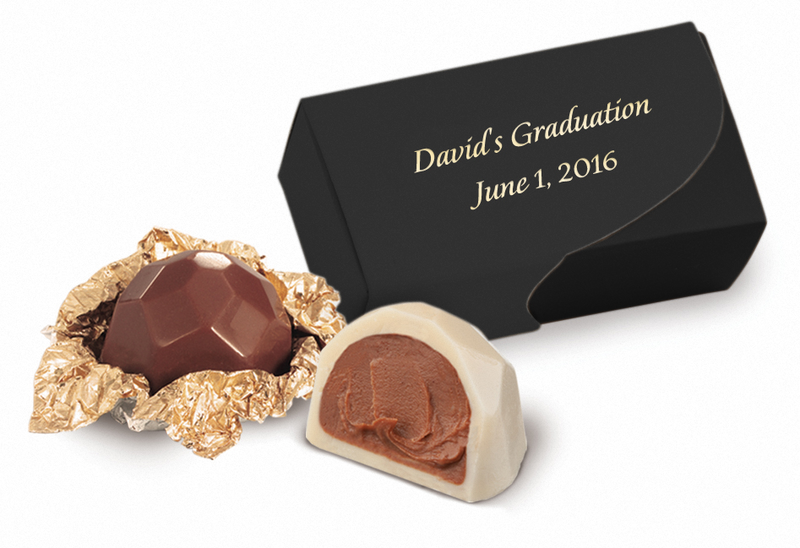 They are delicious and present well in a personalized box with two truffles inside. 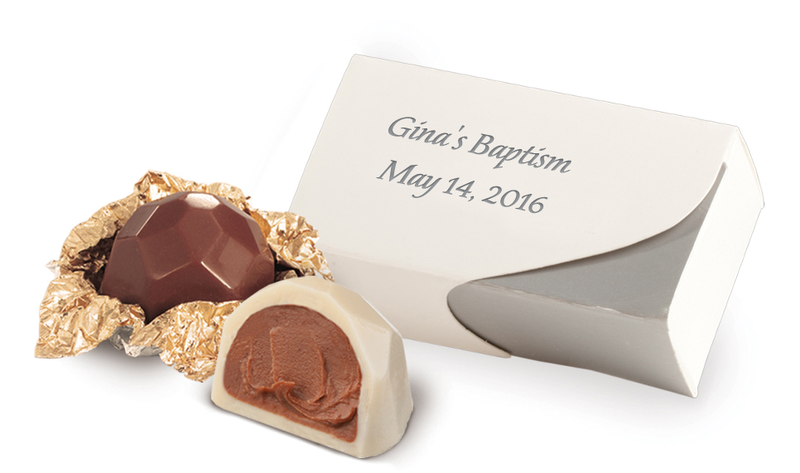 Both treats are made with a milk chocolate hazelnut cream and covered in either milk or white chocolate. 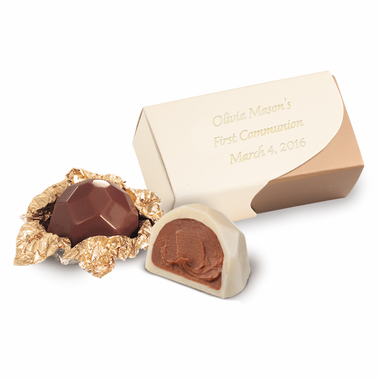 The milk chocolate truffle is wrapped in gold and the white chocolate one is wrapped in silver. The box measures 2 1/2" Long x 1 1/4" Wide x 1" High. The two truffles combined weigh 3/4 of an ounce.